Paul Penders – Natural Skin & Hair Care! TUCKED away in a quiet corner of the quaint island of Langkawi is the international headquarters of an award-winning natural skincare and cosmetics brand founded by Dutchman Paul Penders. A self-confessed environmentalist and avid animal rights activist, he is adamant that beauty, and for that matter success in business, should never be achieved at the expense of anyone or anything. 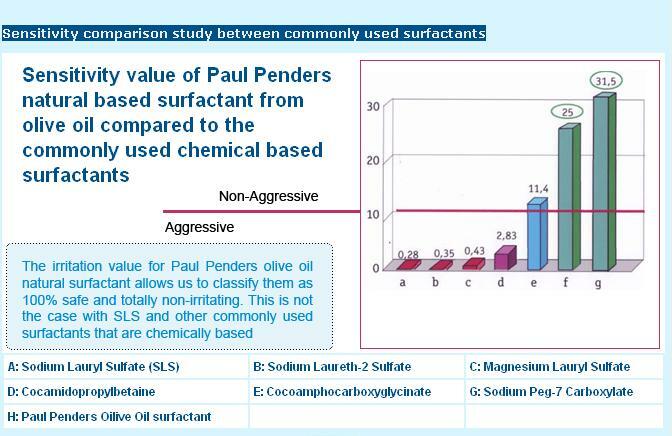 The base of all Paul Penders products is a concentrated extract of 22 herbs obtained from various parts of the world, called LevensESSENTIEGold. Paul Penders products are made in small quantities using cold-blended technology and they are free from chemicals, artificial colours, chemical foam boosters, emulsifiers, perfumes, petroleum-based ingredients and preservatives! Do check out the Paul Penders range for face, body, hair and even baby at Tiny Tapir! This is made worse because most of the day I am in an air conditioned office. The worst was when I permed my fair a few years ago, really frizzy and dry – my hair looked awful. I was using Avalon Organics at the time, because I didn’t want to have Sodium Laureth Sulfate in my hair products (SLS is a harsh chemical like soap – it is what creates the ‘lather’ in your hair – it doesn’t actually clean anything, it’s just psychological). But I wasn’t really happy with Avalon, especially that it wasn’t even properly organic. Then I found Paul Penders had a haircare range. Previously I was using the cosmetics (facial cleanser, moisturizer etc) only, but I was really happy with them, so I decided to try the haircare range too. I really like Paul Penders products because he (Paul himself) focuses on the product and not the packaging. So this is one case where I prefer to have basic but functional packaging – I really don’t need all that fancy stuff as long as the product is doing it’s job. Maybe I’m getting old, but there’s been too many times where the packaging was so impressive, and the product so expensive, but it was completely ineffective or even negatively impacted my skin / hair. Obviously we were paying for the packaging and marketing more than the product. Unlike all that, Paul Penders doesn’t spend a lot on marketing – which is why you’ve probably never heard of them. He focuses a lot on Research and Development instead. And I think, personally, it really shows in the product. At RM55 for a bottle of shampoo or conditioner, it’s not cheap compared to Avalon or other purportedly ‘natural’ products, but its contents really are natural, effective and do the job without fuss. What more can one ask for? The shampoo and conditioner come in 2 ranges – one is the Gentle Shampoo and Conditioner range for fine, limp or damaged hair. The other (which I use) is the Forte Shampoo and Conditioner for thick, dry, permed or colored hair. Yes, you do have to get used to the fact that your shampoo is not full of bubbles (which was from the SLS), but after your hair has dried you can literally feel how much cleaner your scalp is. Also, because the products are natural, your scalp does not react negatively to the harsh chemicals by secreting more oil (meaning you have to wash faster). When I wash with other shampoos, I will need to wash my hair after 1 day, with Paul Penders products I can go 3 days before my hair starts to feel oily and dirty. Isn’t it gross not to wash your hair after 3 days? Actually, no. Every time you wash your hair you are damaging it somewhat – because of the rough handling, water and the chemicals and blowdrying. There are some people who say hair doesn’t even need to be washed at all – simply brush through it with a wet comb for 10 minutes every night. At first the hair will be really oily, but after the glands have settled down, after 2 weeks (i think that’s the magic number), the ph will balance and hair will remain clean and healthy looking on it’s own. Check it out on the Long Hair Community. The products are all cold pressed to ensure that all the nutrients are in the shampoo and conditioner, and not heated away. All Paul Penders products are made in small batches to ensure the quality too.